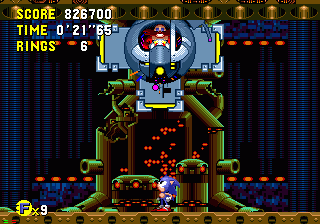 SegaCD Sonic the Hedgehog CD (JPN/USA) in 17:27.65 by nitsuja. This run is approximately 37 seconds faster than upthorn and nitsuja's previous run thanks to various optimization and minor route changes. For more information on the improvements, the BIOS files used and a run for the Japanese version of the game, please read the author's submission notes. There are two video encode files, the first recorded with the Japanese region music and the second with the American region music.